02.05.2015. Liverpool, England. Barclays Premier League. Liverpool versus Queens Park Rangers. 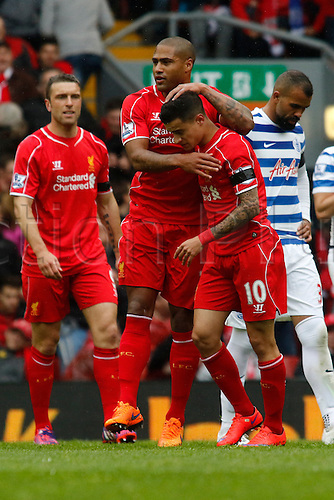 Liverpool defender Glen Johnson congratulates Liverpool midfielder Philippe Coutinho after his opening goal.